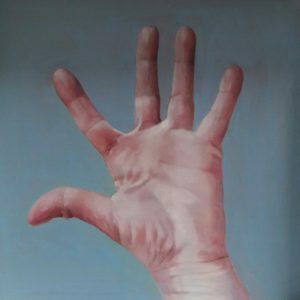 This project about hands sprung from a purely academic exercise, a copy of my own hand made with a very reduced colour palette. 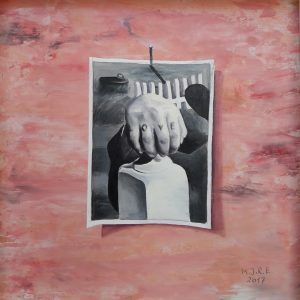 The resulting image conjured up ideas and concepts from the Dadaistic and Surrealistic avant-gardes, both of them influential in part of my early work. 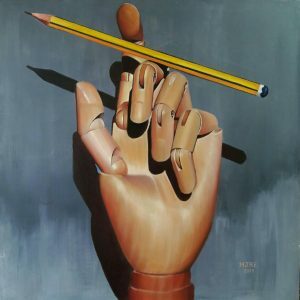 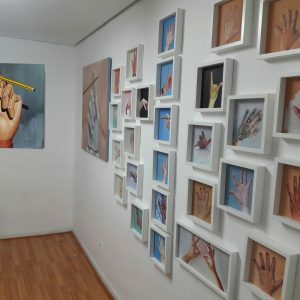 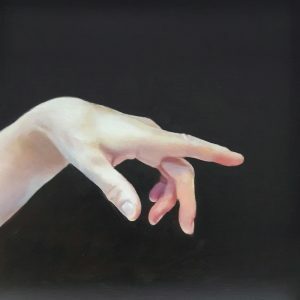 I decided to make a great number of small paintings with hands of different persons in different positions, hands that remind us of hands represented in classic paintings, photographs or films. 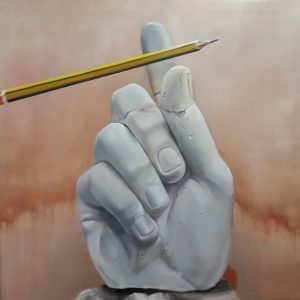 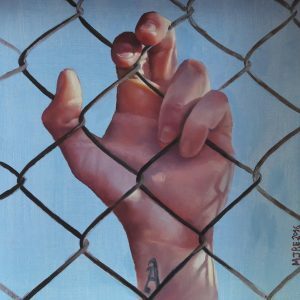 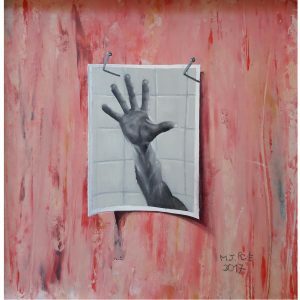 The symbols the hands can create, the language they can speak, the very distinctive expressivity of their gestures, the prints they can leave, the ornaments they can wear… all this is registered in each of these paintings. 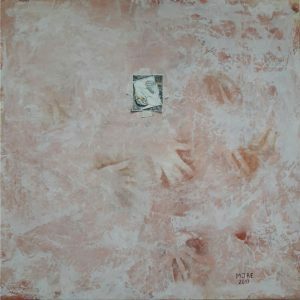 Most of the works belonging to this project are of the same size (23 x 23 cm.) 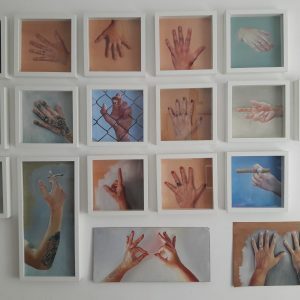 meant to be hung together on one single wall while four other much bigger paintings of hands sculpted in stone or wood or drawn will hang on the other walls.